Patricia Imrana Jalal is a Fijian lawyer and gender advocate, who served as a Human Rights Commissioner on the Fiji Human Rights Commission, as a Fiji Law Reform Commissioner, and as Human Rights Advisor to the Pacific Regional Rights Resource Team (RRRT) and the United Nations Development Program. She is a Commissioner on the Geneva-based International Commission of Jurists, to which she was elected in May 2006. She is a founding member of the Fiji Women’s Rights Movement (FWRM) and RRRT. She continues to sit on FWRM’s Board as a non-resident permanent founding member. She is associated with the international networks Women Living Under Muslim Law (Pakistan), and the Asia Pacific Forum for Women, Law and Development (Thailand). She is currently a senior gender specialist at the Asian Development Bank in Manila. Ms Jalal drafted and helped negotiate the passage of the ground-breaking Fiji Family Law Act, which took twelve years to pass and gave women unprecedented equality in family law, and which has since been emulated around the Pacific Islands. Ms Jalal is a preeminent expert on Pacific Islands feminist and gender issues and regional law. She is the author of the reference book Law for Pacific Women: A Legal Rights Handbook. 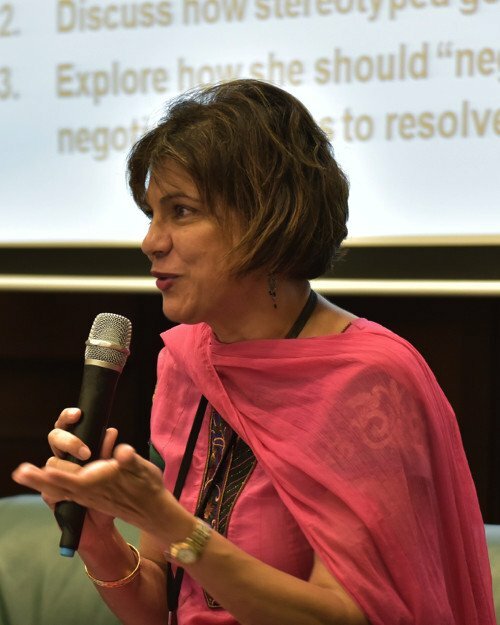 Imrana is also a member of UN Women’s Global Expert Advisory Group, guiding the production of the 2018 Progress of the World’s Womenflagship report. This portrait of Patricia Imrana Jalal was first published by the Pacific Community for the 70 Inspiring Women campaign, it is reproduced here (with some modifications of our own) with their permission.